<firstimage=”//static.makeuseof.com/wp-content/uploads/2011/05/image-48.jpg”> One of the cool things about having a smartphone is that there’s a virtually endless supply of apps. 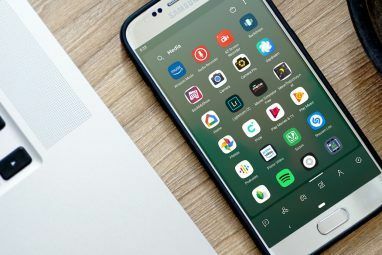 Granted, not all apps are created equal, but with time, you will probably find more than a few you like and use on a daily basis. And that’s where the question of launching those apps enters the picture. Sure, you could always just drag a bunch of icons onto your homescreen, and go back to the homescreen whenever you want to run a new application. 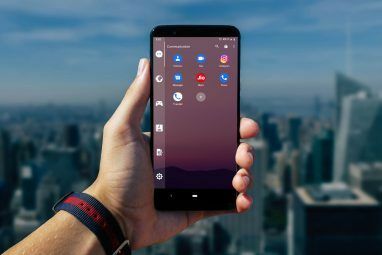 But you probably have more than one homescreen (most launchers start you off with five or more), and then it’s a matter of scrolling around until you find the icon you need. In short, it can be a bit of a hassle, especially for those few applications you tend to use constantly. Another concern is that launchers sometimes crash. I won’t name names, but I’ve recently had a fairly catastrophic launcher meltdown, where I ended up having to use the search button to launch voice search, use it to access the browser, use the browser to access the market, and finally set up a new launcher through the market. That wasn’t much fun, and that’s exactly the type of thing SwipePad would have helped me avoid. Quite straightforward, really. The first two options let you set an application or a shortcut for that slot. 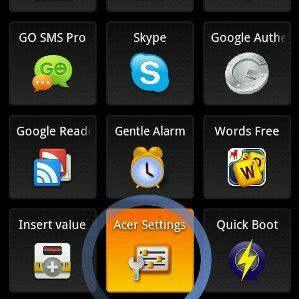 The third, AppLauncher, is an “extra” (paid) add-on that is supposed to allow you to launch even more apps. To me, that defeats the purpose of the app – what I like about Quick Launch is that it’s simple and minimalistic. The fourth option, Tasking, lets you bind the button to a “recent task” switcher, which also costs a modest sum. I did buy this add-on, and we’ll have a quick look at it later on. As you can see, they covered pretty much every possible area. In fact, after I originally wrote this review, they released a new version including “bottom half” options (both for the right and left edge). “Top edge” probably had to be omitted because on most devices, that opens the notification area. This is what you get when you long-press an app in the Recent Tasks list. Carefully-picked options, and quite powerful. Using SwipePad becomes faster with time, thanks to muscle memory. You only need to memorize the position of twelve apps, and swiping from the edge of the screen to one of the twelve buttons quickly becomes a single, intuitive motion that you can do without even pausing to see what icon you’re pressing, kind of like touch-typing. 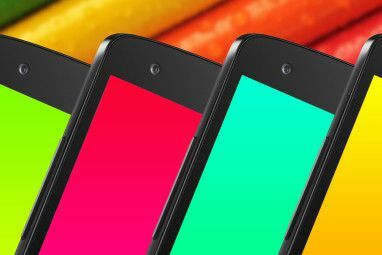 With skilled use, SwipePad is pretty much the fastest way to launch an app on your phone, short of binding it to a hardware button. What app do you recommend for screenshots on Android? I like ShootMe. Only works if you're rooted though. I personally use a PC app that connects to Android and shows a live copy of the device on my computer screen. I then just resize the window, copy the image from there and paste it into my blogging software. Most pain-free setup I could find for my own purposes.